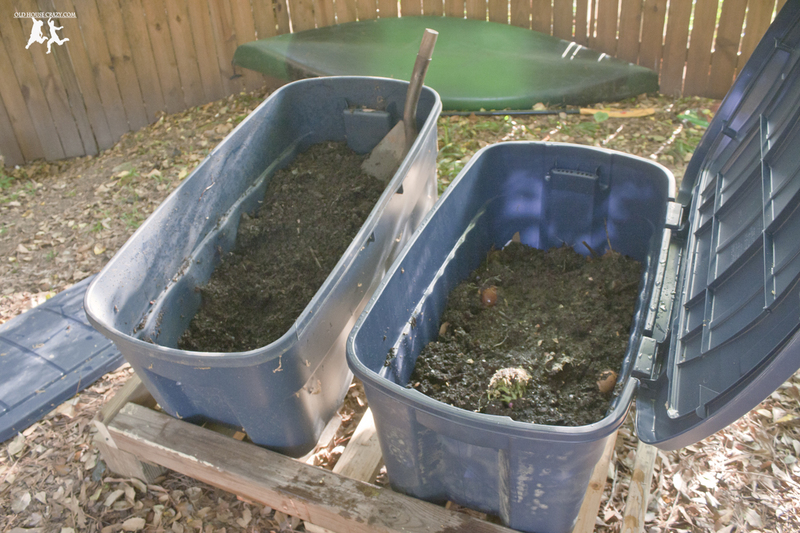 Last summer, Christy and I began to compost our kitchen waste using a worm bin. Since then, we’ve had a lot of people tell us that’s disgusting. 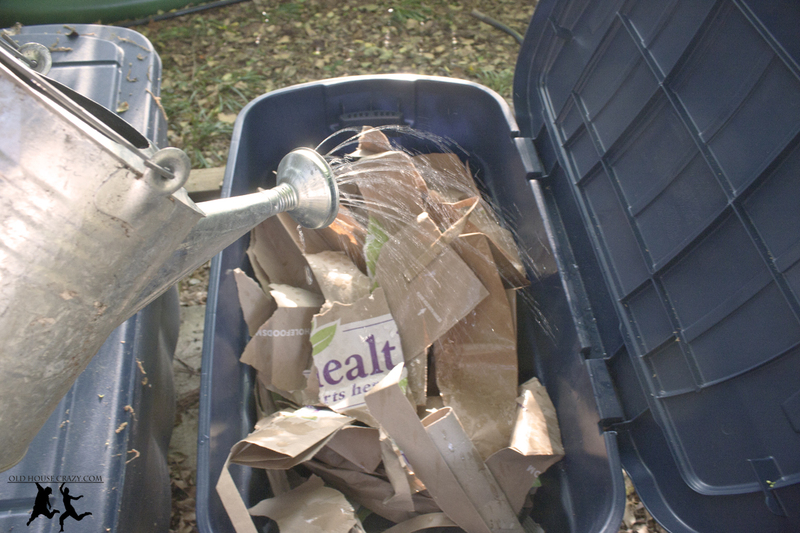 Disgusting or not, it’s a super cheap way for us to both reduce our contribution to the landfill and make homemade fertilizer for our garden that kicks the pants off of the store bought chemical junk. The bin on the left is the one we started last year. It’s a 50 gallon rubbermaid trunk. It cost 25 bucks, is waterproof, and has a pretty good seal around the lid to keep in the worms. It wasn’t in that fancy wooden rack until today. In anticipation for the second bin, I built that rack out of treated lumber I had sitting around. It really looks a lot like a pallet and is sitting on 12-inch legs in the back and 6-inch legs in the front. This helps drain the water out of the bin so the worms don’t drown. Here’s the deal on worm bins. You order up some worms online (Search “red wigglers”. They’re better for bins than nightcrawlers). 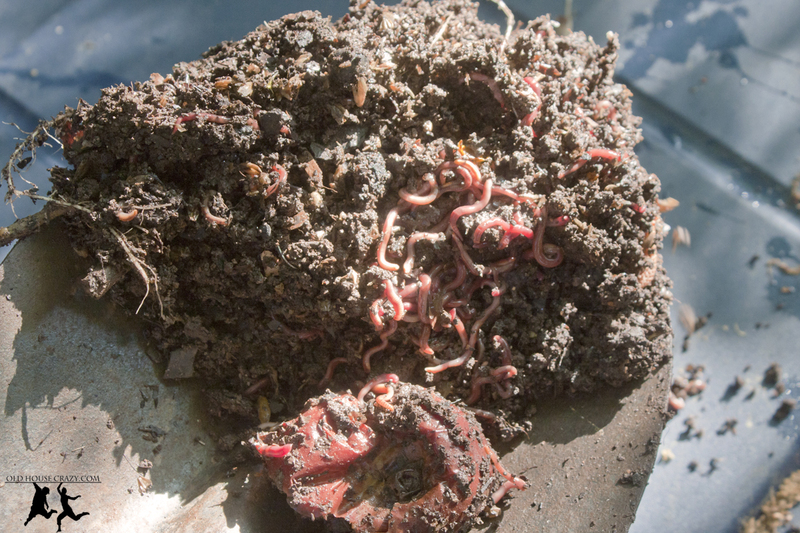 You put the worms in a container with a good lid and a food source. 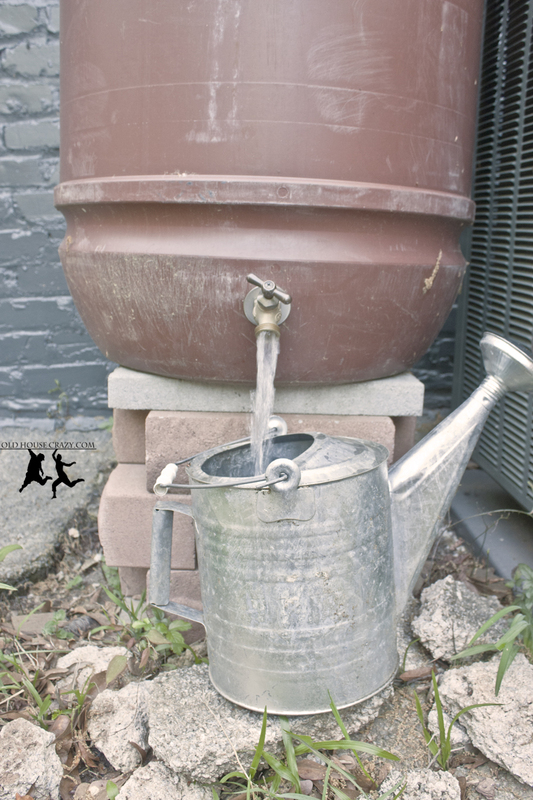 Water the bin – worms need water too. The worms eat all of the food you give them. The worms poop. The poop is black and looks a lot like dirt. 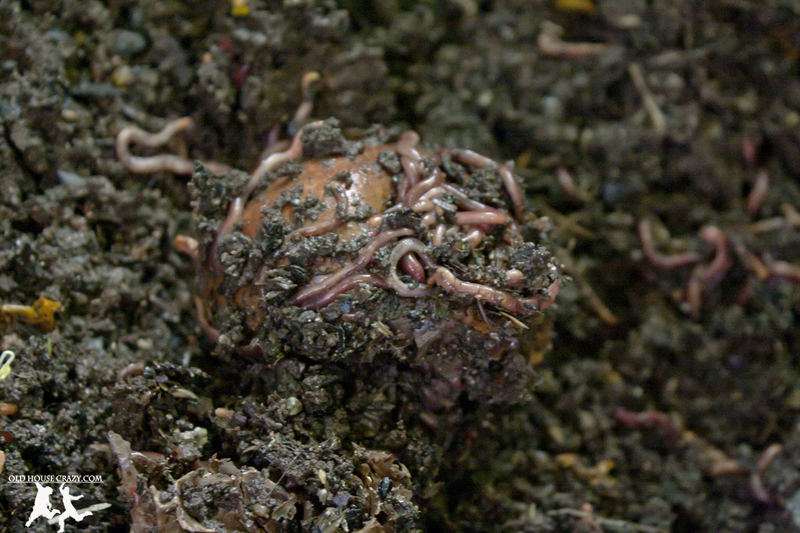 Holy crap – The worm poop IS dirt. 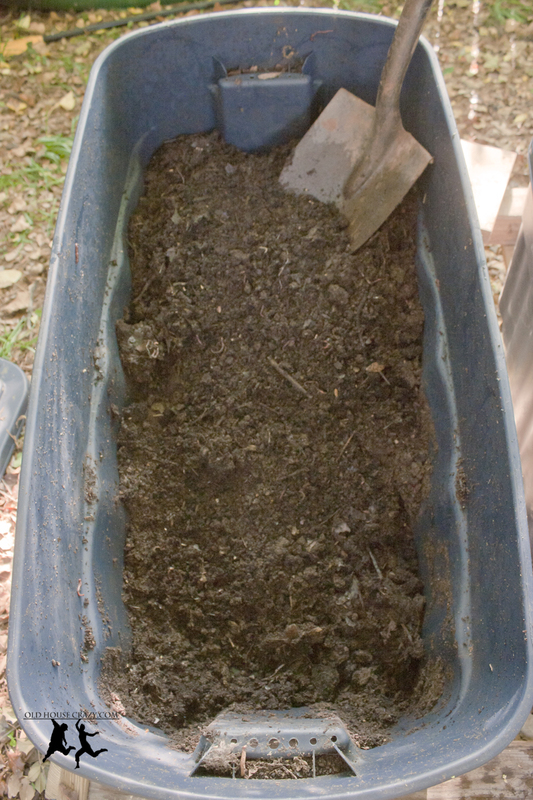 It’s called worm castings and is some of the best fertilizer you can buy, or make yourself. I started this new bin by drilling a bunch of holes in the underside of the end that will sit on the bottom of the slope so the water can drain out. I then raided our paper and cardboard recycling bin and ripped up all the paper and cardboard. 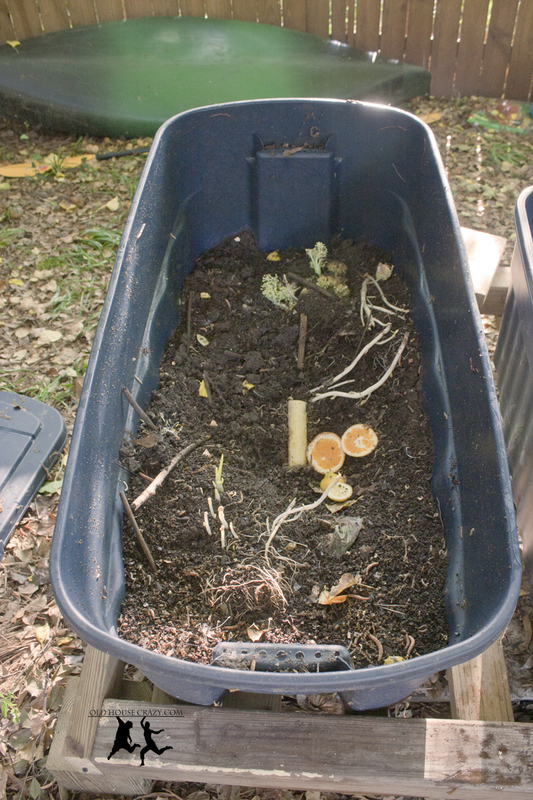 This will serve as a nice base for the bin and holds moisture for the worms. They also eat the paper and cardboard. 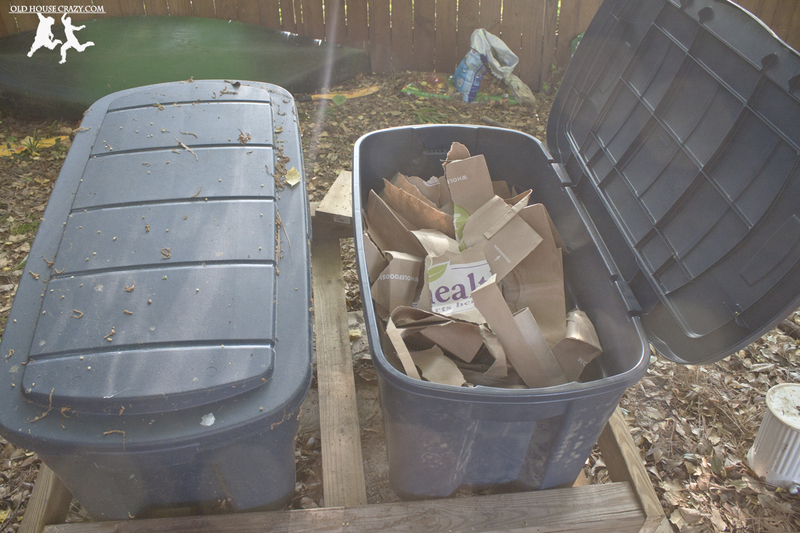 I watered the paper and cardboard so that the worms would like it. It compressed nicely when I pressed it down with a shovel. 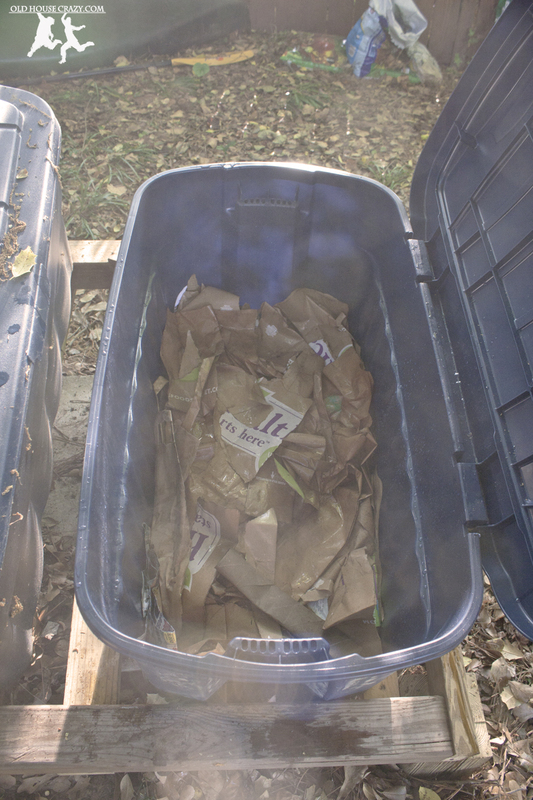 On top of the cardboard I dumped a five gallon bucket of the junk I pulled out of our gutters today. 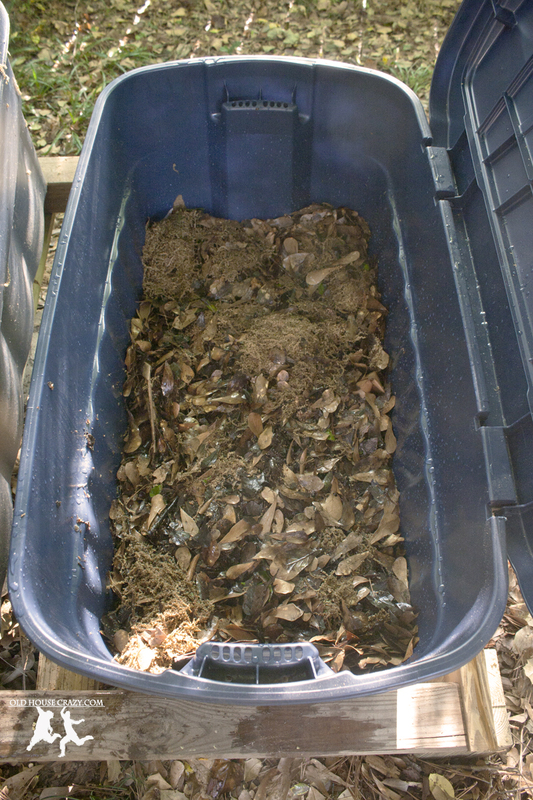 Some sites say never to put leaves or other yard waste into your bin because it may contain other critters that could be harmful to your worms. This is a good point. You can substitute some old green stuff from your kitchen in this step – kale, mustards, broccoli, etc. Use the plants of old veggies after you’ve picked the veggies. 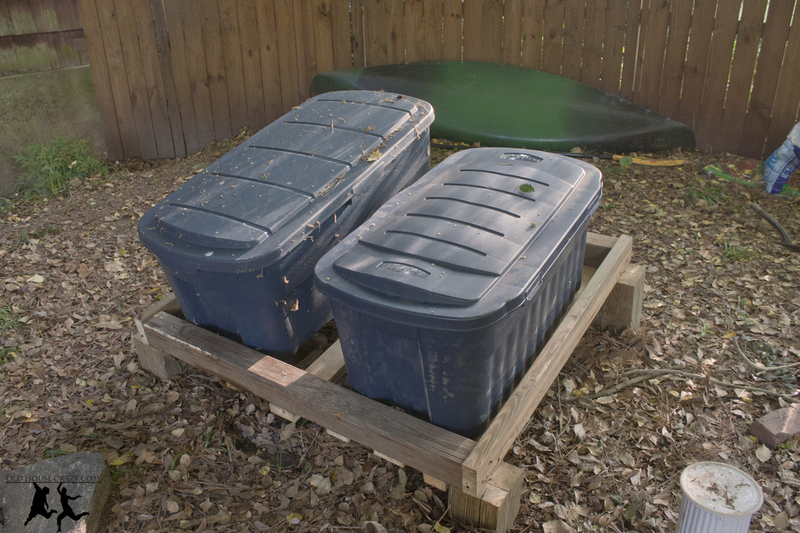 In between each layer, I added some water from the rain barrels. After I had a nice layer of stuff for the worms to eat, I opened up last year’s worm bin to get out the worms and all the goodies they’re still working on. Heads up, some folks might think the following pictures are gross. They’re just worms eating food. You can see that some of our scraps have begun to sprout. I think that’s some onions and the ends of a few potatoes. If you don’t want to compost those things, plant them in your garden. They’ll grow for you. Try to limit the amount of citris you put in the bin. It lowers the pH and makes the fertilizer too acidic for a lot of plants. There’s a nice clump of worms munching on something old and tasty. There’s a whole shovel full of worms. 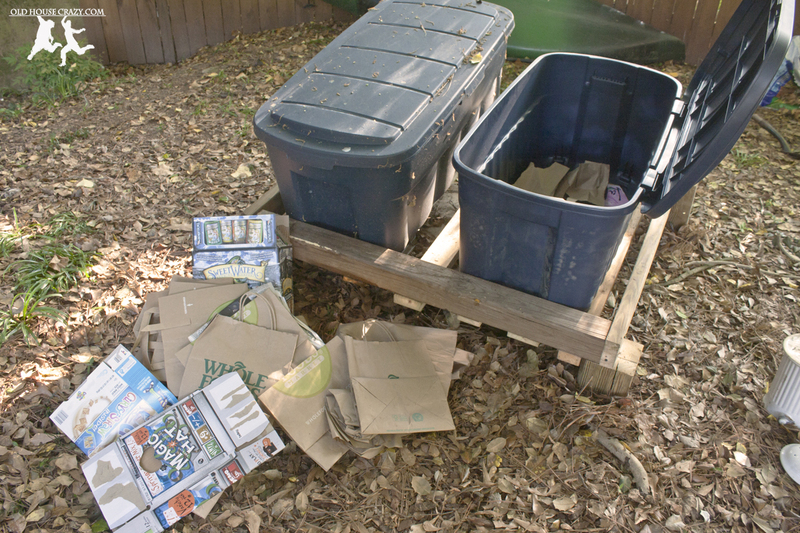 This entry was posted in Better than store bought, DIY, Garden, Home Built and tagged composting, DIY, diy project, eco friendly, garden, Gardening, worm bin, worms. Bookmark the permalink. Hi. Cool information, thanks! Where do you get those 50 gallon rubbermaid bins for $25.00. I bought a couple but they were much more. Sears had them for that price when I wrote the article. I’ve been pretty regularly surprised by some of the stuff I’ve found at Sears.